We just got in some nice Sausage Trees! 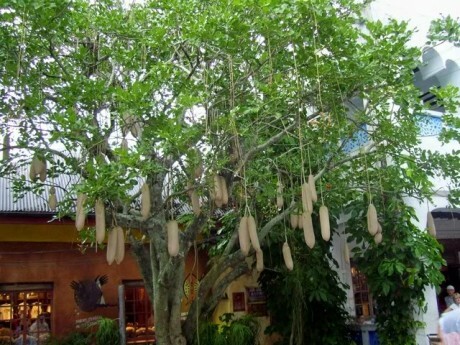 You may have seen this unusual tree at Walt Disney World’s Animal Kingdom in the “Africa” section- its hard to miss, as it has large “sausage” fruits that hang down on vines from the canopy. A favorite in tropical botanical gardens, the Sausage Tree makes a great canopy/shade tree and has the added bonus of its crazy exotic look to give your garden a true unusual element. 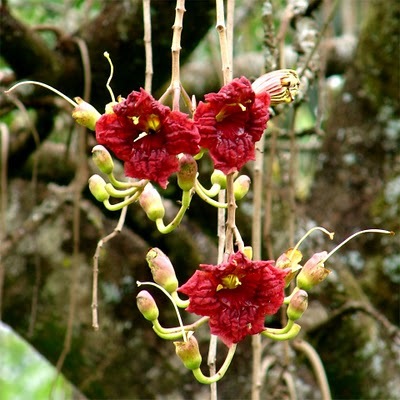 Kigelia Africana is originally from Africa- its tough leaves hold up well to wind and harsh conditions. 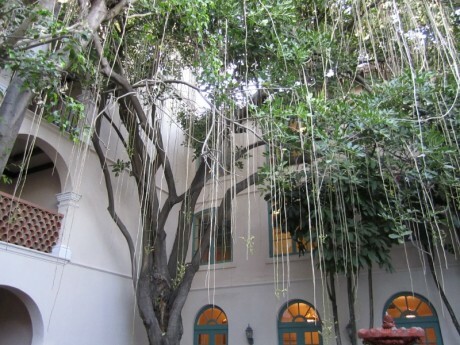 In the warm season, it will drop a multitude of “ropes” from the canopy- from which hanging flower clusters emerge. In its native habitat, these reddish-purple flowers are propagated by bats (not to mention eaten by a variety of African wildlife). In my garden in Melbourne Beach, I notice the bees and moths taking a liking to them. 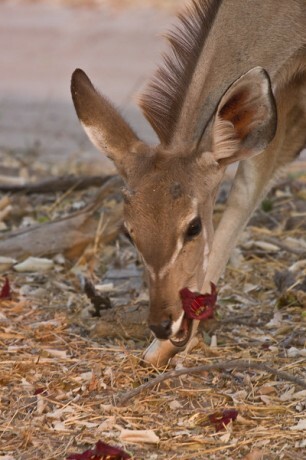 After the flowers are pollinated, the fruits will begin to appear. After a few months, the fruits can become up to 3 feet long! 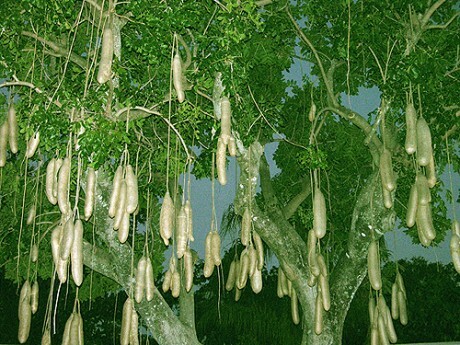 A fully fruited Sausage Tree is sight to behold- truly beautiful and odd at the same time. Exotica Tropicals has Sausage Trees in 3 gallon pots, currently at a height of 3-4 feet tall. They grow quite rapidly once planted. If you are looking to create some windbreak and shade in your garden- this is a great tree to consider.